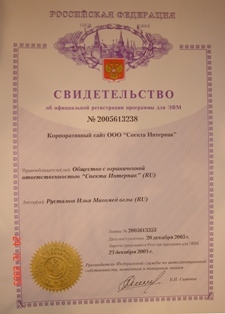 The whole complex of works, connected with state registration of computer programs (including Internet sites) in Federal Service of intellectual property (Rospatent, rospatent), including overall and operative preparation of all necessary documents, as well as the delivery to all destinations and the receipt of certificate. During our activity we have registered nearly 100 programs from different countries and were no refused. 1. 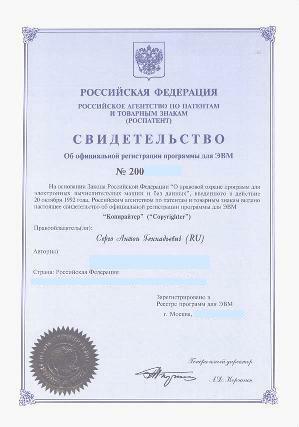 State registration of the copyright to site, software, database. 1. You respond to the questionnaire and after we prepare all the documents (download the questionnaire). 2. You certify the power of attorney notarially and put the signatures on the documents prepared. 3. Afterwards you receive the official certificate. - Your Internet site stopped to be unique due to the actions of lovers of free of charge design and content. This can be avoided. The copyright appears form the moment of the work creation, but how else may you prove that this work is yours? Unfortunately there is a sad statement that the work belongs to “the one who managed to steal or register it firstly”. Take into consideration possible situations and remember that the right should be registered before the conflict occurs. 2. For companies: 2.500 €. The price does not include notarial attestation costs concerning powers of attorney, they depends on your notary’s tariffs. Term of the service: 60 days. - up to 49 pages for databases. 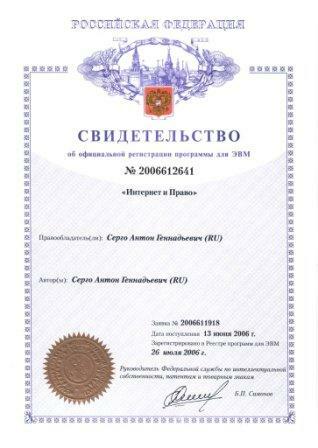 Attention: beginning from 01/01/2008 the registration of contracts of transfer of rights (sale-purchase) to the registered site, computer program, database is obligatory. 2. 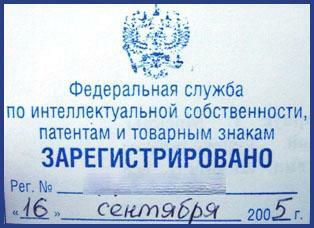 State registration of contracts of rights transfer (purchase-sale) to site, computer program, database. Price ("all inclusive"): 3.000 €. The price includes the whole complex of costs and services. Elaboration of a formal contract of transfer of rights is carried out free of charge within the framework of the service.